Prohibition was the period of time when it was illegal to manufacture, transport, or sell liquor in the U.S. This included Iowa. Why then, did many Iowa farmers turn to using their corn to produce liquor? 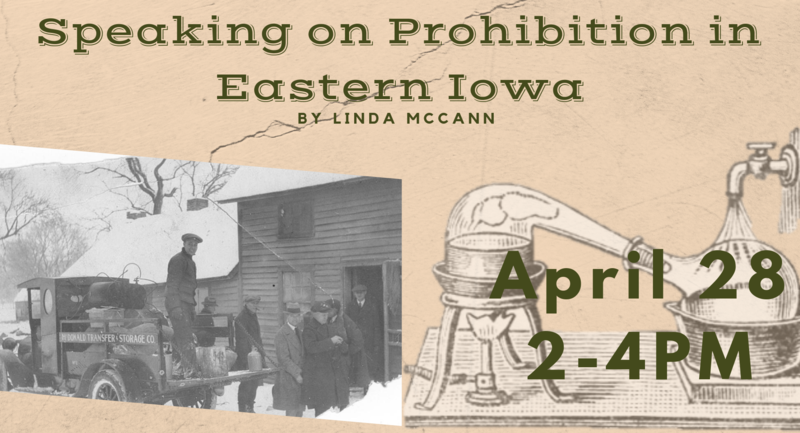 Linda McCann joins us on April 28th from 2-4 PM at the German American Heritage Center to discuss this rebellious time in history for Eastern Iowa. Linda has spoken with the children of moonshiners and bootleggers and shares their memories. She will have specific instances to the Quad Cities area. Linda will have her book “Prohibition in Eastern Iowa” available for those interested!